Mombasa, Kenya . On a hot afternoon at a sprawling settlement on the outskirts of Mombasa, Phyllis Omido makes her rounds. Omido takes Okello to the hospital and stays with her until she’s admitted. She then drives an hour north to a small coastal city, arriving at a walled compound where she’s taken refuge since November. 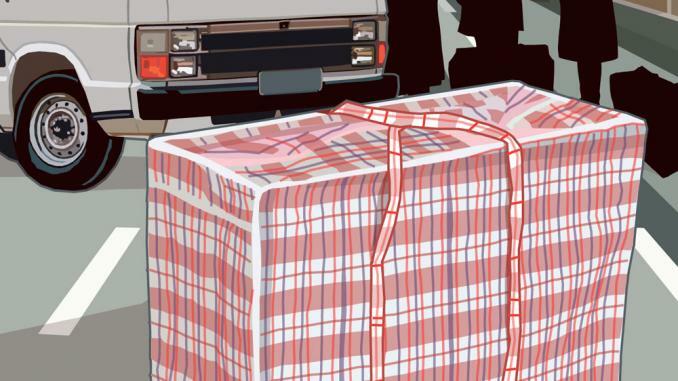 She’s hiding here, she says, while a lawsuit she filed against the Kenyan government and the smelter owners works its way through the court system. 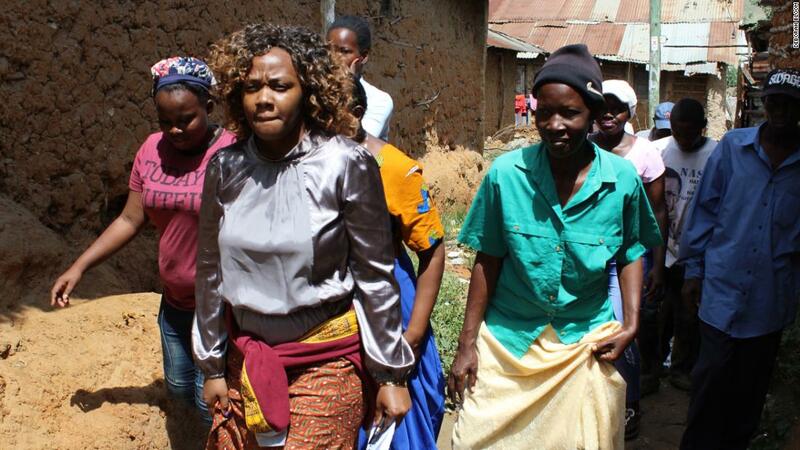 Phyllis Omido walks through the village of Owino Uhuru. She has been keeping a close eye on the lead exposure that has plagued this settlement since a nearby smelter began operations in 2007. Omido, 39, is one of Kenya’s most outspoken environmental activists. She’s been dubbed the “East African Erin Brockovich,” and her work has led to the shuttering of 10 toxic waste smelters in Kenya in the past three years. Indeed, much of Omido’s work has been at great risk — to herself, her family, and her colleagues’ families. She’s been physically attacked multiple times and is constantly threatened. She says she’s been arrested on five different occasions, but never convicted. Her colleagues’ lives have also been threatened, their homes broken into or burned. “It’s quite unfortunate that we have to go through all this,” Omido says with a small shrug. Omido never dreamed of becoming an activist, but the issue of lead poisoning became personal after her son was born. She began work at the lead-acid battery recycling plant, Metal Refinery EPZ, as a community relations manager in 2009, the second year of the plant’s operation. The smelter exported blocks of pure lead by taking used car batteries and extracting the lead from them using a special furnace. In violation of Kenyan environmental and human rights law, the factory’s smelting process would emit fumes, dust, and effluent laden with lead particles, according to a 2015 report by the Ministry of Health. Phyllis Omido meets with Catherine Okello and her son, Sammy, in 2014. They are both suffering from lead related illnesses. Both have since died from lead-related illnesses since this picture was taken. Tasked with assessing the smelter’s environmental impact, Omido made a grim discovery: she found the factory’s location — directly next to Owino Uhuru — left the roughly 3,000 residents there vulnerable to lead exposure. She recommended to management the factory be relocated, and was dismissed from the project, she says. Three months into her job, Omido’s infant son, King David, starting vomiting frequently, his fever spiking daily. Omido brought him to the hospital, where tests for malaria, typhoid, and rotavirus all came back negative. Stumped, Omido acted on a co-worker’s recommendation she test her son for lead poisoning. His blood came back positive for lead at a rate of 35 micrograms per deciliter. Anything above 5 micrograms per deciliter is concerning, according to the Center for Diseases Control. Her doctor told her King David had likely ingested lead through her breast milk. Omido showed her son’s test results to a manager at work and was given a check for her son’s medical bills on the verbal agreement that she would not go public with her findings, she says. She took the money and quit. Concerned other children were being affected, Omido then tested the lead levels of three children from Owino Uhuru. All tests came back positive for lead, at 12, 17, and 23 micrograms per deciliter. Meanwhile, villagers were suffering the smelter’s toxic effects. At night, the factory spewed thick, black smoke from its chimneys. Owino Uhuru residents said they would sometimes have to sleep outside to avoid choking on the fumes that would waft through their windows and become trapped in their homes. Factory emissions would also cause acid rain, mixing into the soil and eating through villagers’ corrugated metal roofs. Villagers also noticed a brown, cloudy effluent being released from underneath the factory wall. The liquid would flow downhill through the village and gather at a small body of stagnant water where children played and residents would draw their water. Abdominal pain, dizziness, diarrhea, coughing and fatigue became common complaints among Owino Uhuru residents. Children and adults began developing large, scaly skin rashes. Several women began to miscarry, sometimes repeatedly. 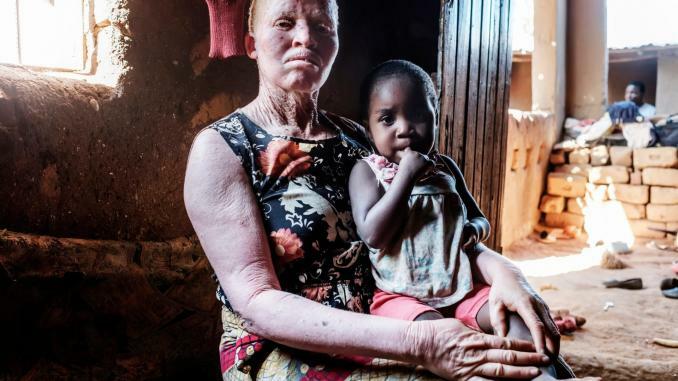 Linet Nabwire, a villager who spoke to CNN-affiliate KTN in 2015 for a documentary about lead poisoning in Owino Uhuru, recalled suffering three miscarriages after testing positive for lead. “I am scared, I fear the same thing will happen again,” Nabwire told the reporter. Nabwire later died while giving birth to a baby boy. A post-mortem exam shows her blood lead level was tested the year before at a startling 238 micrograms per deciliter. Others would also die. 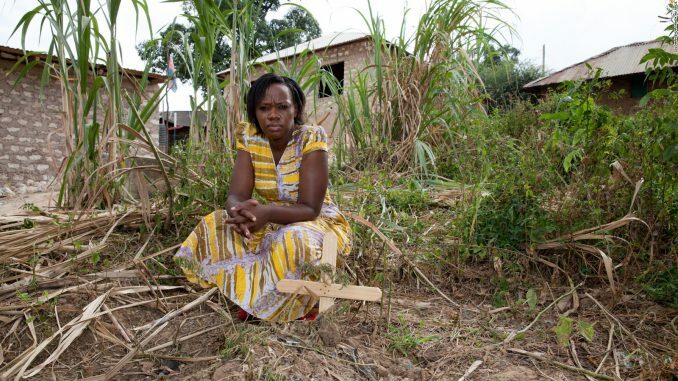 Catherine Okello, before falling ill, lost her 10-month-old son Victor to lead poisoning. Her other son, five-year-old Sammy, also died; his blood lead level was 13 micrograms per deciliter. Altogether, Omido says she’s recorded 79 deaths in Owino Uhuru from lead-related ailments, including 46 children. She also recorded 124 miscarriages between 2010 and 2014, when the smelter was in operation. CNN could not independently verify these numbers. In 2015, the government conducted blood tests on 50 Owino Uhuru residents. All residents tested positive for the presence of lead, and half of them had blood lead levels deemed dangerous by the Center for Disease Control. According to the World Health Organization, there is no known safe level of exposure to lead. After leaving the smelter as an employee, Omido began urging Owino Uhuru residents to write letters to public health officials. Their letters met with no response, she says. To better organize her efforts, she created the Center for Justice, Governance and Environmental Action. In 2010, after a factory worker fainted and died, Omido organized a demonstration. She stood with other villagers outside the gates of the factory, hoisting signs and crying out “lead kills,” when parliamentary member Ramadhan Kajembe, then the Assistant Minister for Environment, arrived at the scene. After the smelter began its operations, several of the village’s children started having complications with their skin, developing large patchy rashes. “He said the smelter had created jobs for the community,” Omido recalls. She says he publicly accused her of trying to incite community members. She threatened to show him her son’s lab test results, certified by the city’s chief medical examiner. Kajembe told CNN he did not remember the incident. After the first protest, the National Environment Management Authority ordered the smelter to close, citing the factory’s lack of compliance with safety requirements. 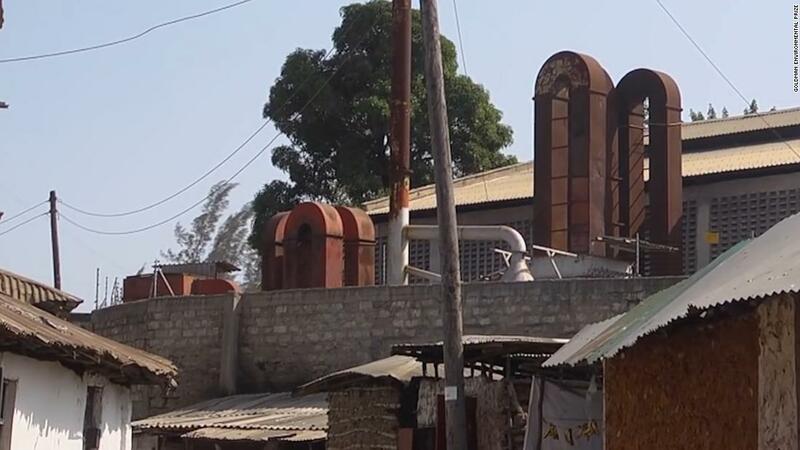 The factory was shuttered temporarily, but quickly reopened after the Municipal Council of Mombasa decided the factory had complied with its requirements. The letter-writing campaign continued. Omido was arrested early that morning before the demonstration could get underway. She stayed in jail overnight and eventually stood trial, accused of inciting violence and unlawfully assembling — “trumped up charges,” according to Human Rights Watch. Omido was acquitted. She would be arrested four more times. Each time, she was held overnight, never charged, and eventually released. Later that year, while still living in Mombasa, she returned home one evening with her son to find two armed men at her gate. One of the men hit her in the back of the head with the barrel of his gun, causing her to fall. King David, now a toddler, began to cry. From the ground, she begged them to let her take her son inside. They agreed. She came back outside and they hit her again, knocking her briefly unconscious. One of her neighbors then pulled up to the gate in his car. In the flash of his headlights, the men fled. She immediately fled Mombasa and relocated to a small coastal town, where she continued her advocacy work. Following a third demonstration in 2013, NEMA again ordered the smelter to be closed. Three weeks after it shut down, smoke emissions again billowed from the factory’s chimneys. Only in 2014, after Kenya made exporting scrap metal illegal did the factory permanently close. “At least, now, the air was clean. But the soil and water were still contaminated,” Omido said of the factory’s closing. 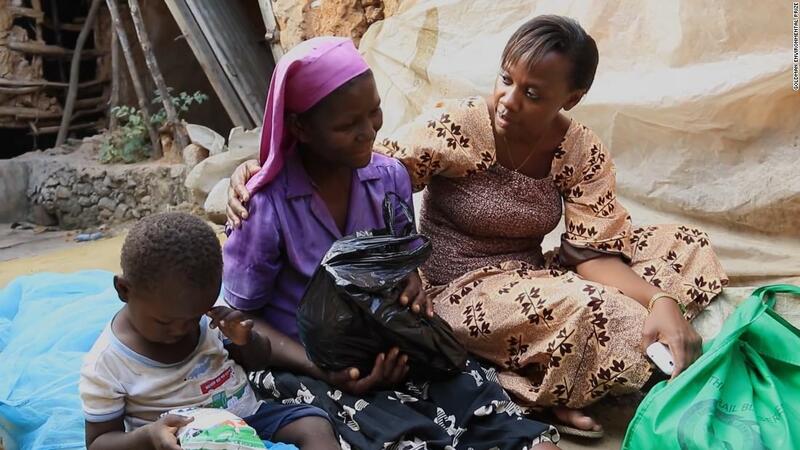 So began her mission to get the affected residents of Owino Uhuru compensated for their suffering. “By releasing toxic fumes containing lead particulates and oxides of sulphur, trade effluent, and solid waste into the neighboring Owino Uhuru village … the factory primarily caused the myriad of problems threatening public health and safety of Owino Uhuru,” the taskforce report reads. The chimneys of a lead smelting factory loom over the village of Owino Uhuru. The factory spewed lead-laden smoke and effluent into the village, in and off, from 2007-2014. CNN’s efforts to reach the factory owners were unsuccessful. Omido’s lawyer went to Mumbai, where Metal Refinery EPZ is based, and tried to serve both men with papers, Omido says. He couldn’t find either of them. Hezron Awiti, a member of parliament who has admitted to owning the factory premises to local media, refused to comment to CNN. An article in the local paper, The Standard, says Awiti denied knowledge of the factory’s activities, and has blamed health officials for failing to enforce safety standards. “As a landlord I was not involved in the day-to-day operations of the company, neither did I have the expertise to determine, at the earliest stage possible, that sinister activities, with highly dangerous outcome were going on in the premises,” he said to The Standard. “Lack of good waste management practices by both factory management and relevant government agencies greatly contributed to lead exposure within the factory premises and its immediate environs,” the report adds. The report recommends, among other things, cleaning up the environment of Owino Uhuru and providing medical treatment to those affected. None of those recommendations were implemented, Omido says. She felt the only option was to go to court. She gathered a handful of Owino Uhuru residents who were exhibiting signs of lead poisoning. 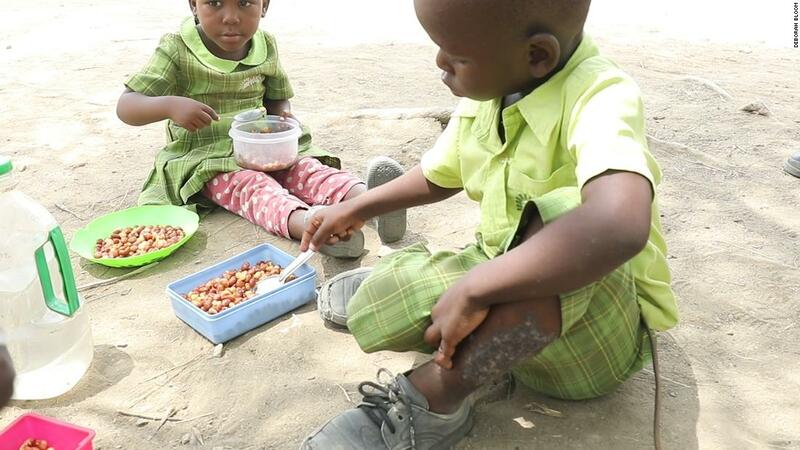 Such as Kelvin Musyoka, a young boy whose leg began to rot after he stepped into a puddle of contaminated sludge, Omido says. She named them in a class action suit against the government and the companies associated with the factory. Once a public notice of the case was published in a local newspaper, Omido says the threats increased. She would receive text messages from unknown numbers, demanding she stop the lawsuit from moving forward. Three Owino Uhuru residents who worked closely with Omido — Anastacia Nambo, Wilifred Kamenchu, and Alfred Ogola, also were threatened. Nambo says her home was broken into. Both Kamenchu and Ogola say their houses were set on fire. 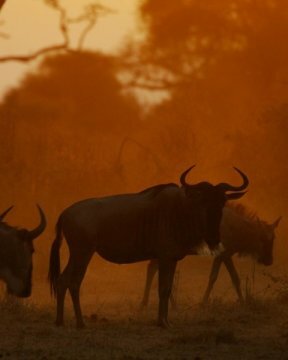 Today, Nambo and Ogola both carry the same GPS tracker as Omido. Last year in April, as Omido was boarding a flight to Johannesburg to attend an environmental summit, she received a phone call from an unknown number. “Where is your son?” a strange voice on the other line demanded. “Why do you want to know where my son is?” she asked the stranger. “He’s in danger,” said the voice, and then a click. Silence. Panicked, Omido called a friend and begged her to pick up King David from school and take him to Nairobi, where he would be relatively safe. The next day, Omido heard Kamenchu’s son was kidnapped on his way home from school. He turned up three days later, unharmed. “But still the threats were still coming,” Kamenchu said. Presently, Omido has a variety of security precautions in place. Her office and home are decked out with closed-circuit television cameras. She owns 10 dogs, five of which she trains as attack dogs; the other five are trained to detect explosives. She closely monitors her son’s whereabouts. To keep her siblings out of danger, she won’t tell them where she lives. She’s developed tracking and evacuation procedures, signals, safe words to be used during emergencies. “Mostly I pray, even though I take a lot of precautions,” she says. Mombasa Governor Hassan Joho admits the government needs to do more to address the suffering in Owino Uhuru. He blamed the inaction on the country’s switch in 2013 from a municipal council to a county government system. To his credit, the county has covered some Owino Uhuru residents’ medical bills accrued from lead-related illnesses. For six months, the county offered village members zinc and calcium supplement, which can decrease lead concentration in the blood. 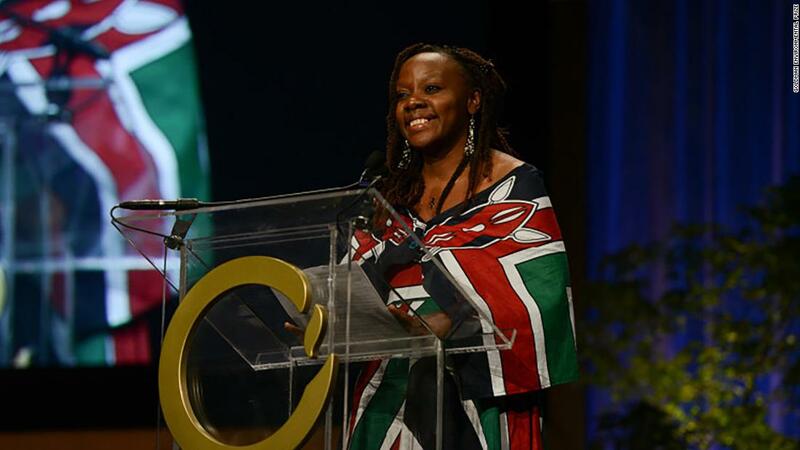 Phyllis Omido receiving the prestigious Goldman Environment Prize in 2015. But many medical bills have gone unpaid, Omido says. And several Owino Uhuru residents told CNN that Mombasa County’s distribution of calcium and zinc, which counteract lead toxicity, abruptly stopped in September 2016; the government claims it is ongoing. Lead-acid batteries — used in cars, energy supplies, and solar power storage — are improperly recycled in many developing countries, according to environmental non-profit Pure Earth. In countries with strictly enforced regulations, special equipment must be used in smelters to curb environmental pollution. At lead smelters in the United States, for instance, filtration devices are required for pollution control. Kenyan law says it’s illegal to pollute the country’s air and water, but it does not specify how a lead smelter must comply with those laws. In sub-Saharan Africa, collection and recycling of lead-acid batteries “lack even basic precaution measures to prevent the emission of lead and battery acid to the workspace and the environment,” according to a report by German environmental research firm Oko-Institut. Cases of lead-poisoning from unsound lead-acid battery recycling have been recorded in Ethiopia, Tanzania, Cameroon, China, Vietnam, the Philippines, the Dominican Republic, and elsewhere, the report adds. In 2015, anti-pollution watchdog Pure Earth put out a statement that claimed the improper recycling of lead-acid batteries to be one of the leading cause of lead poisoning worldwide. “Large as these numbers are, they are almost certainly underestimates,” the statement reads. 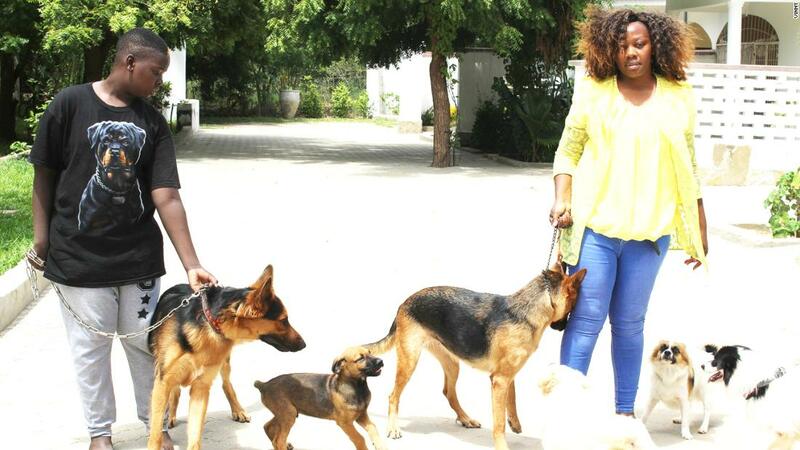 Phyllis Omido and her son, King David, stand with their dogs. Omido owns 10 dogs, five of which she trains as attack dogs. After Omido brought Catherine Okello, into the hospital, doctors diagnosed the 35-year-old mother with renal failure — a symptom of chronic lead poisoning, according to the CDC — and prescribed kidney dialysis. In March, she died of organ failure. David Mahala, one of the other villagers Omido visited that day, would also die. His home shared a wall with the smelter. As for the lawsuit, court proceedings have been delayed eight times. But Omido keeps hope the judge will rule in their favor — and soon. She wants the residents of Owino Uhuru to be compensated for their suffering. But she also wants to move on with her life. She’s tired of living in hiding, she says, and would like to retire early. Maybe move to a remote farm somewhere and raise goats and cows, she adds. Why is no-one talking about the Zamfara conflict? Freedom Day: What is it, what does it mean for South Africa, and how are people celebrating?